The EoC set in motion throughout the world a circuit of communion where the central axis are the companies and their entrepreneurs; the 980,000 euros they shared in 2013 represent an increase of 27 percent over the previous year, contributed in particular by the significant profits of companies from Argentina, Belgium, Italy, Ireland, Poland, Portugal, Slovenia, Slovakia, South Eastern Europe and Germany; also worth mentioning are the new contributions from companies in South Korea, Côte D’Ivoire, Democratic Republic of Congo and Uruguay. This is an increase that substantially compensates for the decrease in the extraordinary contributions of individuals. During the year, 2,250 families from five continents were assisted through direct contributions in the areas of feeding, housing, schooling and health care. In addition, development projects were started or continued through productive activities that have directly benefited more or less 1,535 people in Bolivia, the Philippines and Brazil. 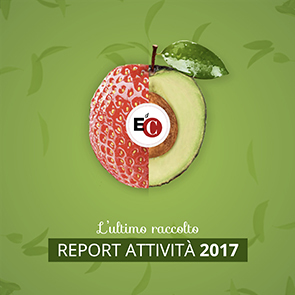 Equally significant was the support given by EoC companies to the spreading of its key value – the culture of giving – through print, websites in various languages and social media, to the funding of congresses and “summer schools” for youth training and to support the activities of Sophia Institute.